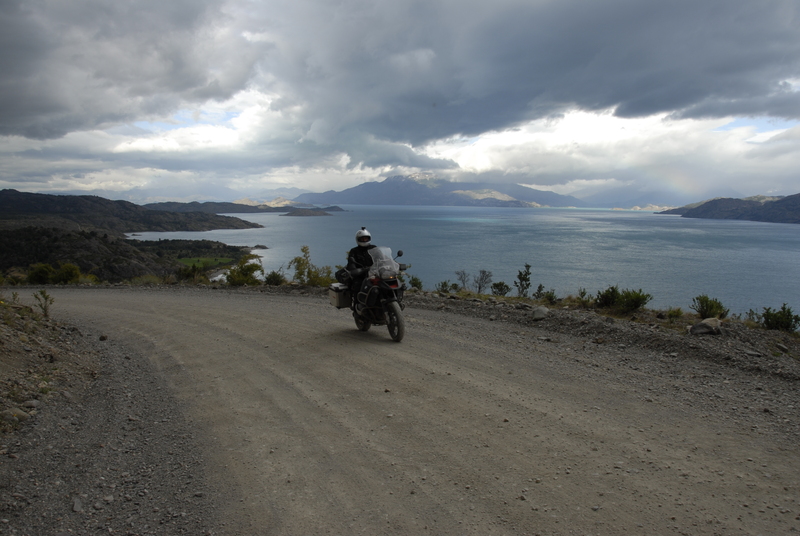 We crossed into Argentina around noon today and rode all day down Ruta 40, which is all gravel (in many case the rocks were almost the size of a fist). It was extremely windy. At times, we felt our helmets would be ripped off our heads by wind. The gravel road was tough, especially if you ride on it for 3 days in a row. Vadim tried to avoid the gravel on a short segment of Ruta 40 and got onto a new build asphalt road. He ended up being covered in hot asphalt. We hope his bike can be washed somehow after this incident. Gintaras had an accident around 7:30pm after an exhausting day. When going at approximately 40 kmh his bike lost control in a thick layer of gravel. He hurt his back. Vadim raced back to the scene of the accident and assisted Gintaras. The bike was ok but the side case was damaged at the bottom but should be fixable. We knew that our stamina for the day disappeared. 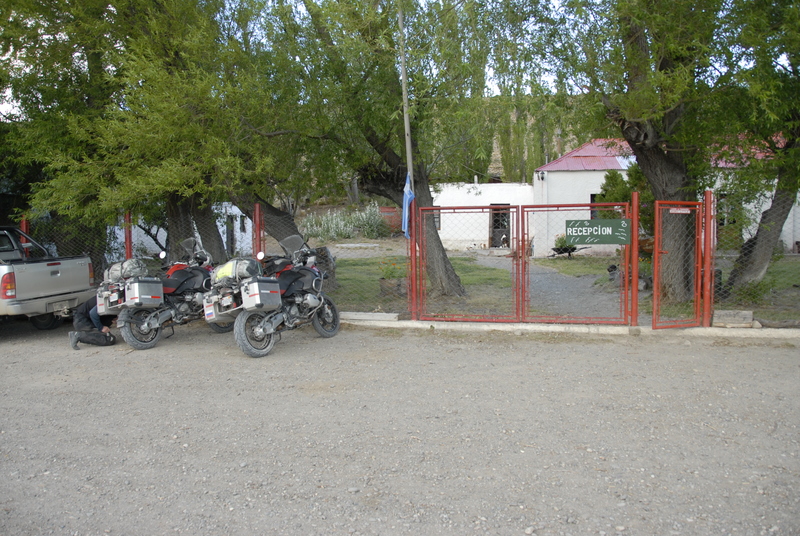 We turned off the road and continued for another 5 km off road and stopped at a local farm house for $100/night and $50 / dinner. They can get away charging this price because there are no other options for 100 km radius. 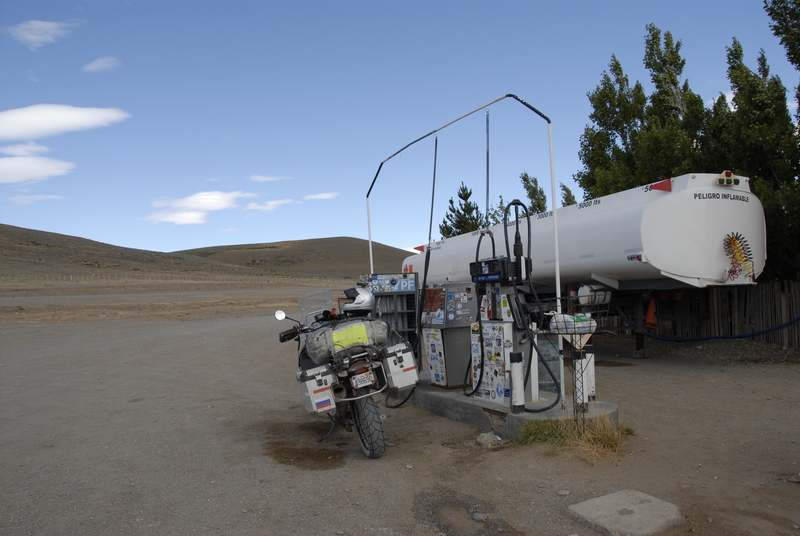 The gas is scarce and one better fill up the gas tank for 300 km to be safe. By getting some rest today, we hope to be more physically fit and emotionally ready to continue our journey. We must be in Punta Arenas in two days to catch our plane to Antarctica.